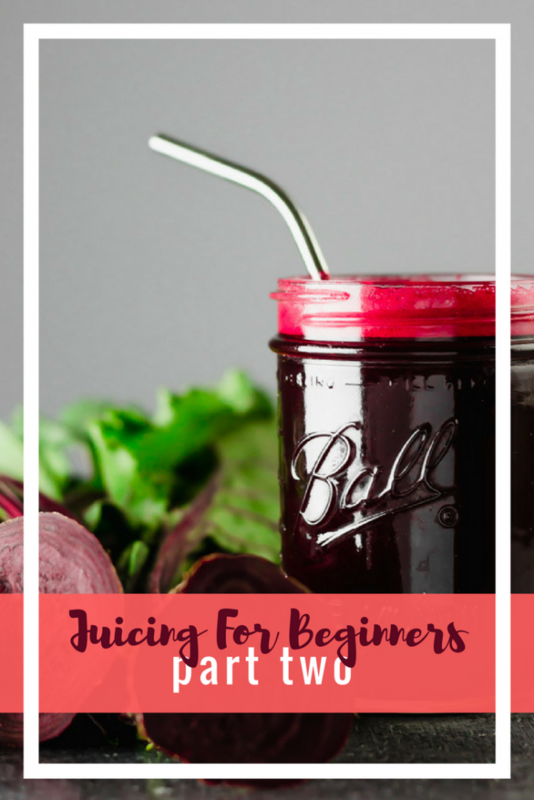 This is Part Two of our 'Juicing For Beginners' Three Part Series. You can see Part One - Juicing For Beginners by clicking on the link. 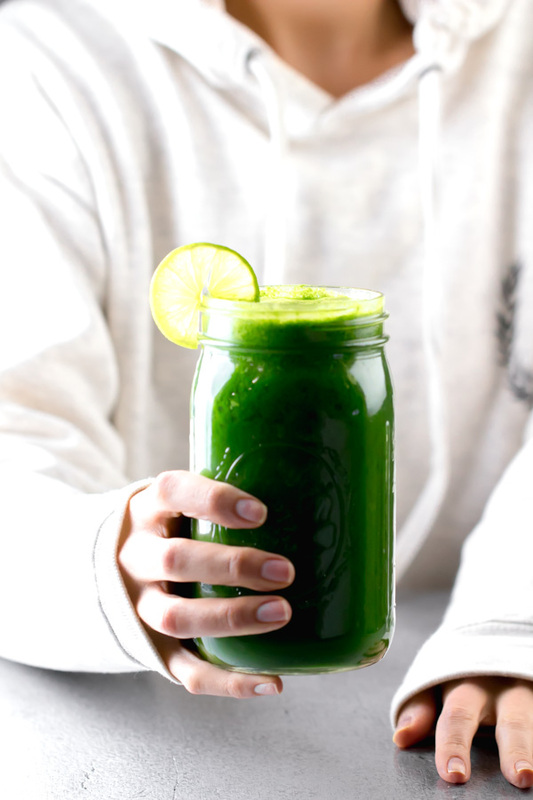 This is PART TWO of our 'juicing for beginners' series. In Part One of this juicing series I talked a little bit about what juicing is, what it isn't, and why I like to include juices as part of my regular diet. A blender uses up the entire fruit or vegetable and pulverizes it completely. This means that the final drink is going to be thicker, fuller, and contain more fiber and all of the pulp of said veggies and fruits because nothing is removed in the blending process. This is great for drinks such as smoothies and shakes. A juicer, on the other hand, extracts the actual juice from vegetables and fruits and removes the pulp completely. This leaves you with a drink that is silky smooth and easy to drink. There are benefits to each one of these of course. If your goal is to increase your fiber intake or feel fuller after your drink, you will probably achieve that best using a blender. 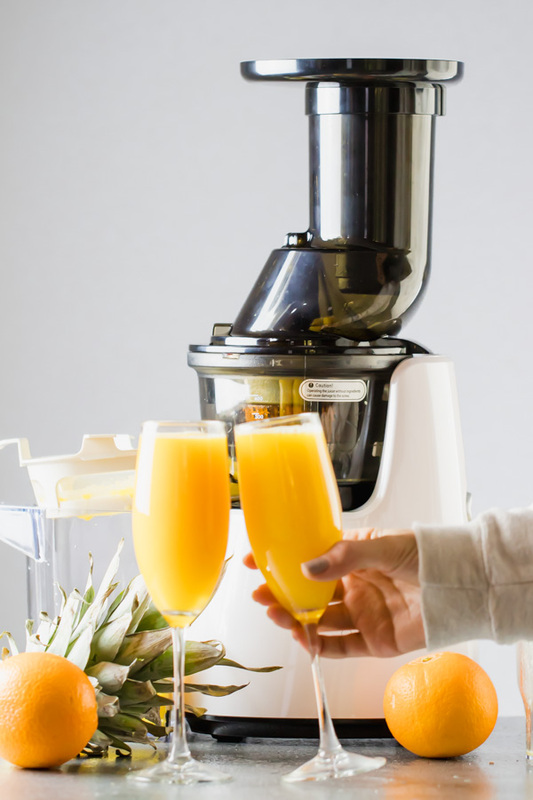 However, if you are a picky drinker and don't like slurping on fiber and pulp, a juicer will take care of that problem for you. But keep in mind, that when you use a juicer, you are eliminating a lot of the fiber from that fruit / veggie. This means you probably won't feel as full and you are missing out on healthy fiber that helps with things such as regulating digestion and controlling blood sugar. As you can see, there are pros and cons to each method. And I don't necessarily think that one is better than the other. Each has their own purpose and both have added benefits. Now, for the purposes of 'juicing' - if your goal is to increase your fruit and veggie intake because perhaps you aren't eating enough greens or whatever the reasons is... but all you've got is a blender.... then yes of course, you CAN use a blender to make some fruit and veggie 'juices'. Again, keeping in mind that the consistency, texture, AND flavor/taste will be different than if you were to use a juicer. But it can still get the job done. Always do some research before hand as to what fruits and vegetables will work better for blender juices. Some that come to mind that can easily be juiced in a blender are spinach, arugula, apples, pineapples (peeled), and kale. More fibrous fruits and veggies such as oranges and celery, and harder veggies such as beets, are probably better juiced using a juicer. Of course all of this also depends on what blender you have. 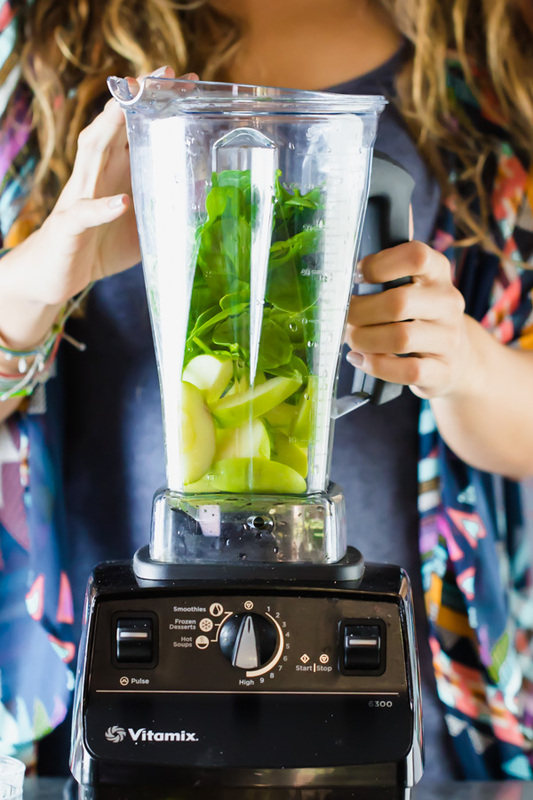 A stronger, more powerful blender will give you a better result than a smaller, less powerful one. I use a vitamix blender (affiliate link) and that is what I am basing this information on. You can even learn how to make homemade juice using a vitamix on their website, and they also have a ton of blender juice recipes on there. Okay, now that we have sorted out the information between blenders and juicers... let's talk about the difference between juicers themselves! 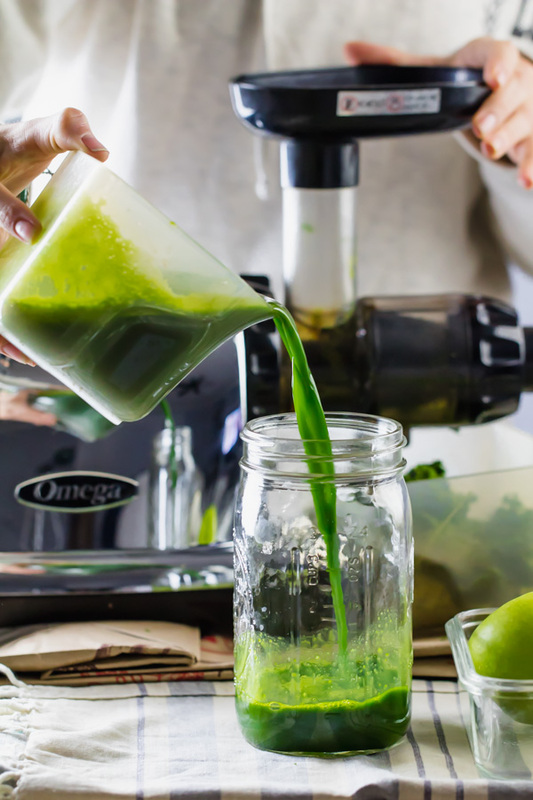 There are probably many many types of juicers out there but the two most common types and the ones that I am personally familiar with are centrifugal and cold-pressed (also known as masticating, or slow juicers). These are the keywords that you want to look out for when making a juicer purchase. One of the most common types of juicer is a centrifugal juicer. Just as its name suggests, this type of juicer uses a high force created by a fast spinning blade to separate the juice from the pulp. Usually has a wider chute making it easier to juice bigger pieces of fruit and veggies. 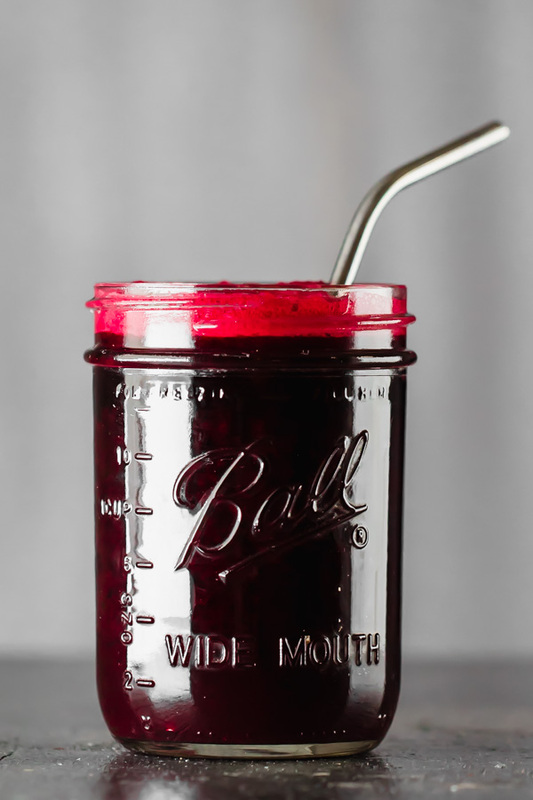 The high speed creates a ton of heat that in turn may kill enzymes and diminish the nutritional value of the finished juice, and cause oxidation. Also due to the heat, this type of juice does not last very long and should be consumed immediately after juicing. Juice is technically not considered 'raw' because of the heat. Another con that I have found with this type of juicer is that it is not very effective for softer greens such as arugula and spinach. In my experience, the juice yield is veryyyy low when juicing soft greens in this type of juicer. 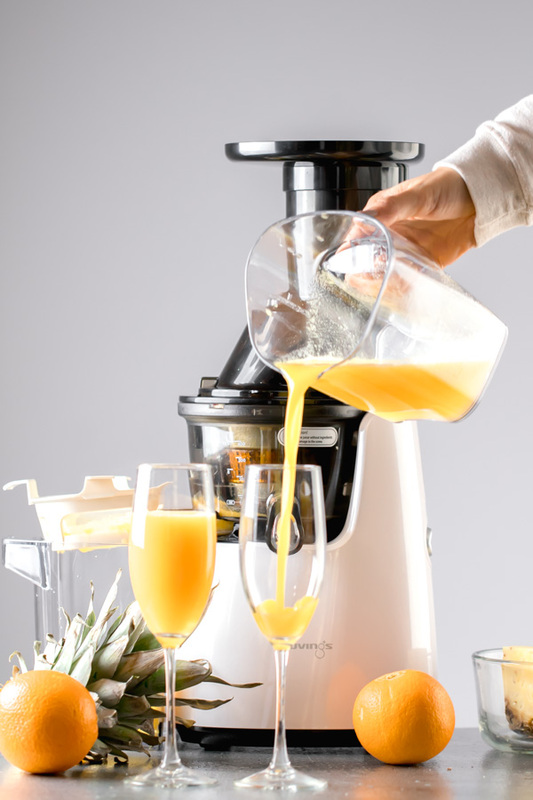 A good centrifugal juicer that I own is the Breville Juice Fountain Plus , (affiliate link). It is a great beginner juicer and will get the job done. It is heavy duty, high quality, sturdy, and for the most part makes really good juice and leaves you with mostly dry pulp. It is also one of the more affordable models (under $120 bucks on Amazon as of the date this post is written). A big con is that it is mostly made of plastic, however they do state that all the parts that come into contact with food are BPA free. Unfortunately, most juicers that I have found have mostly plastic parts but it is good to know that this brand is BPA free. Moving on to cold-press juicers, or masticating juicers as they are frequently called as well ... these are relatively new juicers out in the market and they aim to fix the "heat" issue of the centrifugal juicers. Cold - press juicers, or masticating juicers, don't use high speed to extract the juice but instead they 'press' or squeeze the fruit and veggie to extract the juice out from it. It's a much slower process but the benefit is that you keep all of the nutrients intact. And most importantly, these types of juicers are GREAT for juicing soft greens such as arugula, spinach and kale. The amount of juice that I get out of this juicer is much much greater than when I juice greens in a centrifugal juicer. <- This is probably the main reasons why I prefer Cold-Press juicers because I like to juice a lot of greens. slower process compared to centrifugal, but not thattt slow! The cold-press juicer that I currently own and have used for almost two years now is the Omega Juicer (affiliate link). I really like this juicer and it has gotten the job done for me. One of the greatest perks of using this juicer over my Breville, is the efficiency of juicing soft greens such as arugula and spinach. The Omega juicer by far supersedes the Breville in this aspect. So if juicing mostly greens is something that you want to do, that is something to keep in mind. The con of course is the price you pay. It is almost double the price of the Breville. But the advantages make up for the price difference in my case. They also have really good customer support and warranty. One time I had a piece break off and after one phone call and an email with a picture to prove the damage, they sent me a replacement part right away. Also, while doing research for this article, I found mixed reviews as to whether this specific model that I mention is BPA free. Some say it is. Other says it is not. The only factual information that I could find was on actual product page in the Omega website, a customer asked whether it was bpa free or not, and the response from OMEGAMB (customer support) stated that yes, it is BPA free. But again, if this is something that is superrr important to you, make sure to give them a call directly and get a more concrete answer. If you follow me on Instagram, then you might know that I recently won a juicer off of an Instagram giveaway that a juicing company was hosting. This juicer is called the Kuvings Slow Juicer and I justttt used it for the first time this week. Now that you (hopefully) have a better understanding about blending and juicing and cold pressed and masticating and ahhhh so many terms. I know. It's a lot of information. But you're trying to learn. And that is what is important. Don't get so caught up on the terms. Do some research and then choose which ever one works best for YOUR needs. What am I going to primarily juice? Am I going to want juice in bulk and store my juices for a later time, or am I okay with juicing and drinking it immediately? How much do I care about losing some nutritional value? How often am I going to juice? In the end, the BEST juicer is the ONE that you have right now, and the one that you're going to use. It doesn't have to be top brand, or super expensive, or have all of the features. Start with what you have right now in your kitchen (even if that means a blender)! All right friends, that's all for PART TWO of our 'Juicing For Beginners' Series. Remember to check out Part One and Part Three . I love juice!! I don’t have a juicer but do have a vitamix. These are some really helpful tips, I love them! 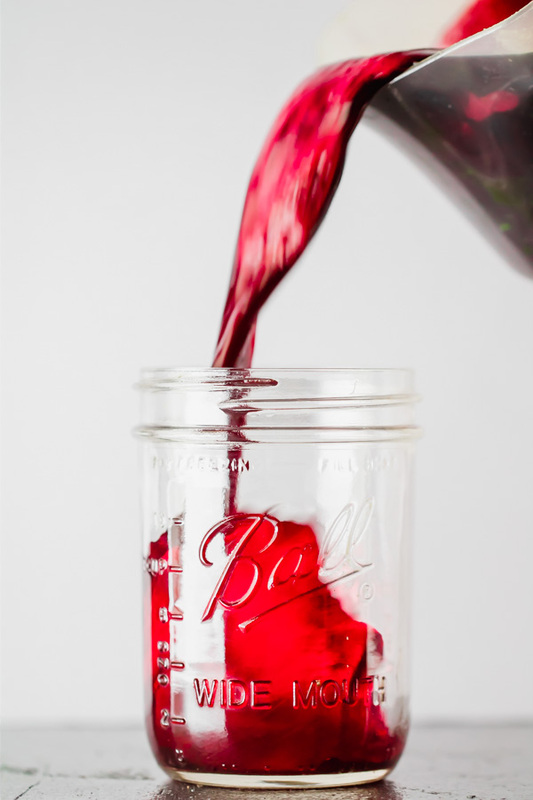 I also REALLY love that photo of red juice pouring into the mason jar. AMAZING photography!! Your juices looks so yummy! Actually my mom is making juices, too. She has both juicer and blender and creates really amazing drinks. Some of them are prepared using our own fruits from the garden, which is even more cool! I bought her a book with the juices recipes and I think she really liked it. Asia, your mom’s juices sound fantastic!! Being able to make your own juices and drinks from fruits and veggies from your own garden is a dream come true. We are currently trying to grow papaya… if it is successful we are going to make so many papaya smoothies!! Anyway, thank you for your compliment on my pictures, it is greatly appreciated. Oh and that juice recipe book sounds like it was the perfect gift for your mom. This post was perfect timing for me. I just ate about 10 pieces of homemade fudge – and I’m feeling like crap. I could use some healthy juicing right now to cleanse and make me feel human again. The colors of your juices are just gorgeous. Your juices look and sound incredible! I just bought my dad a juicer for Christmas so he can start making his own juices with his citrus trees. I’m excited to try it! That’s so cool Elle! I am sure your dad appreciated the gift. Those juices from fresh fruit must taste so so good. I love a good juice, although admittedly I found it so hard when I did this a few years ago! That said, I’m better at it now, and I definitely have seen the benefits! Those look fantastic… and those colors!! I haven’t juiced anything in a while, it’s definitely time to get back to it. Thanks for the inspiration!